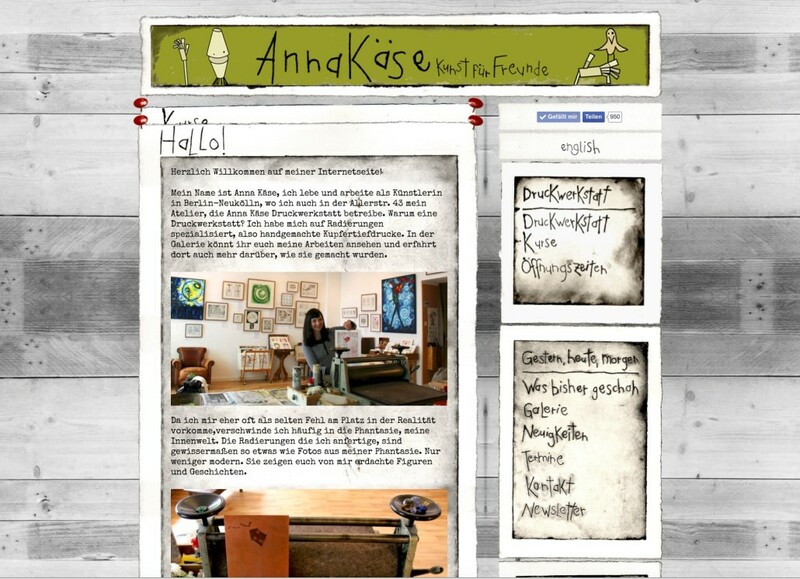 In 2015 I created the Website of the Berlin artist Anna Käse. 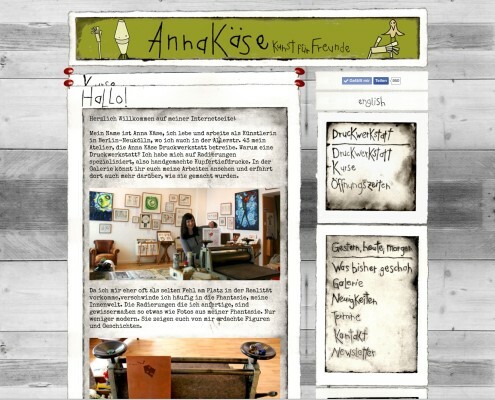 She specialized in creating etchings in her Druckwerkstatt (print work shop) in Neukölln. 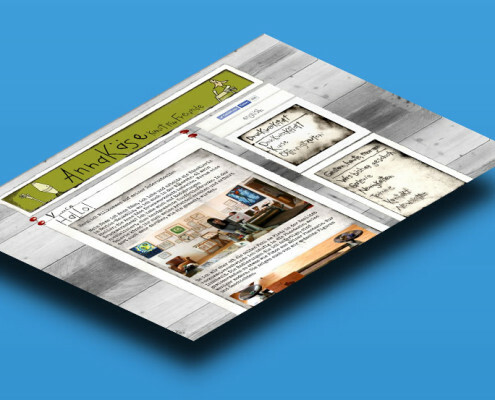 The website is a big pin board, that displays the content in the form of sheets of paper. 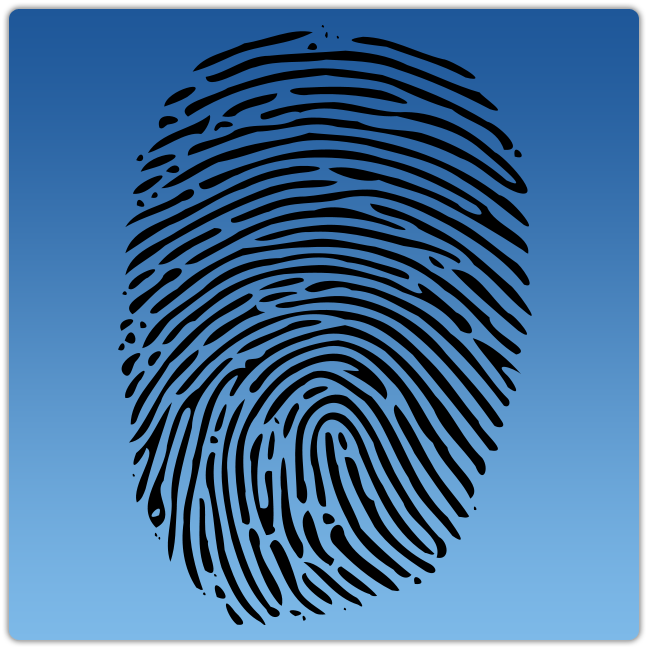 These can be rearranged by the user or removed from the board by “pulling” the pin. The entire website is based on AJAX.